Local shoppers can no longer rely on traditional ways of finding local businesses. In the past, all they had to do was open the big bulky Yellow Page phone book or look in the local newspaper for coupons or ads put out by local shop owners. But most small business owners realize that those marketing tactics simply don’t work anymore. So what’s the solution? Local business directories. If you run a local business and you want to make it easier for consumers and shoppers to find your business, you need to know about local business directories. What are Local Business Directories? In a word, these local directories are the best marketing tool in the hands of local shop and restaurant owners. That’s because when today’s shoppers want to find Us local businesses, the first place they look in on local directories. They use them to find stores near them, shop hours, methods of payment, directions to the store, product offerings, menus, and all sorts of other information that shoppers use to make buying and shopping decisions. Is your business listed on a local business directory? Not only are local business listing free, but they are easy to set up. And did we mention what a great marketing tool they are? In a world where shoppers go online to find local businesses, it’s imperative that they can find your shop, service business, or restaurant there. To create your free local business listing, you need to first stop in at one the credible local business directories like FindUsLocal.com. Once there, use the custom search bar to find your business, and then when it comes up in the search results, click on it. You’ll now have the opportunity to claim it as the business owner. By doing this, you’re enabling the system to allow you to input the details about your business. For example, you should check to see that the business name shown is the proper one, and that the address, phone number, and website address are correct. Once you have the basics down, it time to start adding the details that shoppers look for when deciding which local business to visit. For instance, you can add your store hours, the types of payment you accept, the brands or products that you carry, directions to your store, any parking restrictions, and anything else that new customers need to know about your store. Now that you have your free business listing set up, it’s time to let your customers know about it so that they can begin leaving online reviews for your business. Recent studies show that today’s shoppers don’t like to buy from businesses unless they can first read some positive reviews about it. That means you’ll have to ask your existing customers to leave those reviews. Other studies show that more than 70 percent of people are willing to leave an online review if they’re asked, so make it a habit to ask every person to leave a review at the checkout station. 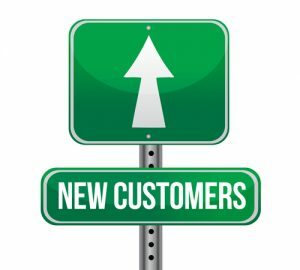 Now that you have a place where all those online shoppers can find you, you should have more new customers walking through your doors. Remember, setting up a free business listing is easy—and the rewards and benefits that you’ll reap from it will last for years. This entry was posted in Facebook Advertising, Local Marketing and Advertising, Online Advertising on October 12, 2018 by wpadmin.